A gap of approximately 30km presently exists in the Trail between Grand Bend and (just north of) the village of Bayfield. 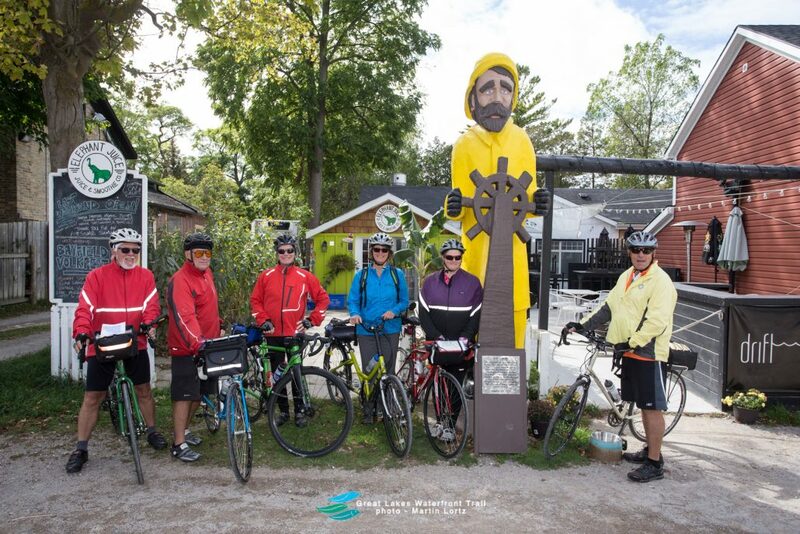 Though this route is not signed as part of the GLWT, cyclists are encouraged to refer to our interactive webmap for routing included in the Provincial Cycling Route and to the Ontario’s West Coast Cycling Guide for their journey through Bluewater and for tours elsewhere in Huron County. WRT Staff will continue to work with local staff to address this gap as opportunities become available. We appreciate your patience as we work to have our own downloadable maps updated and look forward to hearing of your experiences on the Great Lakes Waterfront Trail and in the communities in Huron County. Toronto – Leslie & Unwin What Does the Trail Mean To You?